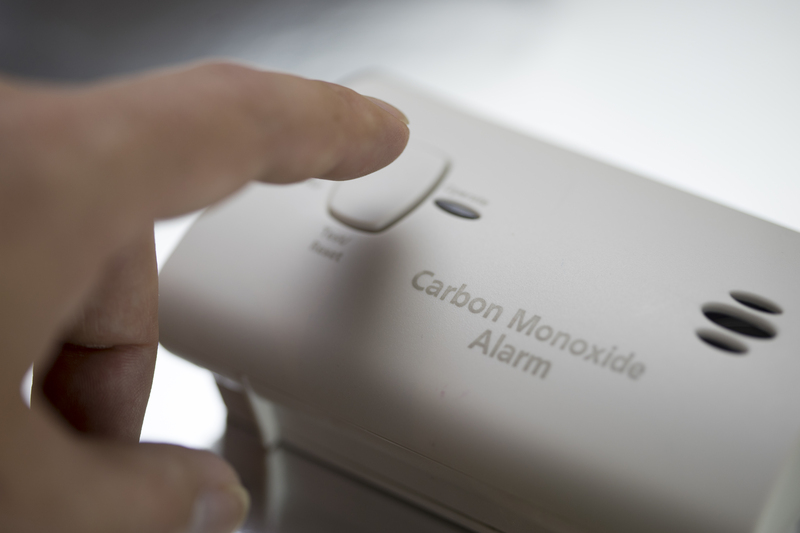 Carbon monoxide is generated by fossil fuel burning appliances. Under normal circumstances, these appliances are vented to the outdoors which carries the CO out of your home, garage etc. CO can become a problem if venting fails, causing CO to accumulate in your home. Since symptoms of CO poisoning are flu-like, you may not know the cause of your symptoms until it’s too late. Install a CO alarm in your home to be warned of dangerous levels of CO before they become deadly. Locate CO alarms near smoke alarms, in hallways near every separate sleeping area of the home. Because CO is produced by fossil fuel burning appliances (furnaces, ranges, water heaters, clothes dryers and room heaters), keeping these in proper working order can help minimize your risk of CO poisoning. Have your heating system (including chimney and vents) inspected and serviced annually by a qualified professional. Never operate non-vented, fuel-burning appliances, tools, or engines in a closed space without doors or windows open for ventilation.